Northamber announced on Tuesday 2nd April that is has been selected as a distributor in the UK for Kemp, the leader in powering always-on application experience. For organisations of all sizes, from SMB to enterprise, Kemp simplifies how customers optimise, analyse and secure their workloads wherever they are deployed. 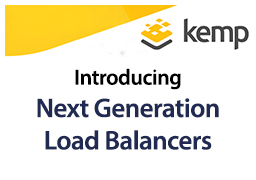 Kemp ensures total platform flexibility for its customers by providing a suite of cloud-native, virtual and hardware load balancers. Leveraging an agile per-app consumption model with unlimited throughput, predictive application analytics and automated issue detection and resolution, Kemp offers the best approach to delivering an always-on application experience at any scale to end users. TCO calculator: Compares metered, perpetual and competitive ADC licensing. Assessments: Evaluate multi-vendor load balancing effectiveness. Partner Central: Comprehensive access to sales and marketing enablement tools. Alex Phillips, Northamber’s Director of Strategy said “We are delighted to be working with Kemp, whose products, providing customers with the best application availability and uptime in a physical, virtual or cloud based environment, are a perfect fit for our Northamber Solutions division." Panasonic Business has reached an agreement with Northamber plc, which will enable the wider distribution of its document scanner range. Starting in April 2019, Northamber, one of the largest UK owned trade only distributors, will extend its offering of IT solutions to include Panasonic’s entire range of scanning solutions. Panasonic says the partnership will help facilitate the communication needs of small to large scale businesses across the UK, offering them greater access to its award winning scanner range. The agreement includes the distribution of Panasonic’s recently upgraded document scanner (KV-N1058X) which has an impressive scanning rate of 70 pages per minute, making it the fastest scanning model within its class. 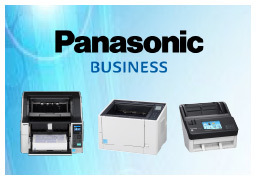 Other products available include Panasonic’s flatbed KV-SL3056 which comes with an integrated automatic document feeder, allowing it to manage mixed size documents such as booklets, passports, ID cards and envelopes with ease. London, UK, March 2019: Leading UK value added distributor Northamber plc, announced today that it has signed an exclusive agreement with Concierge Displays to distribute their range of meeting room booking and management solutions within the UK. Peter Dosanjh, Director of AV at Northamber, commented: "Concierge have brought innovation and flexibility to meeting room booking systems. Helping end users to optimise room utilisation in potentially expensive office environments can generate significant cost savings. The simple visibility of room usage combined with the administration, management and reporting tools, bring a whole new level of flexibility and control to businesses and other organisations. We are delighted to have added the Concierge Displays range to our ever expanding Audio Visual brand portfolio. Call the Northamber AV team on 0208 296 7399 or email av@northamber.com for more information or to book a demonstration". 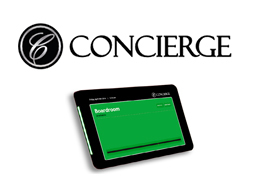 Concierge is a flexible and easy to implement solution to the visualisation of meeting room schedules and information. Concierge not only displays what meetings are scheduled, but can also display room availability, what audio visual technology is available in each room and manage on the spot bookings or meeting room changes. Occupancy and utilisation statistics also help to optimise the efficiency of potentially expensive spaces. Raymond Budd, UK Country Manager from Concierge Displays said "Being a part Northamber's rapidly expanding AV division brings huge advantages. Their personal approach to the reseller channel means that our products and solutions can reach a whole new audience in the UK, for both Education and Business customers. Their expertise makes it simple for resellers to engage, choose the right solution and to sell with confidence. We look forward to great successes together with the UK reseller channel". Northamber will offer Concierge products from the beginning of April 2019. 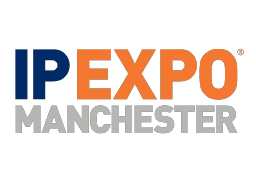 Come and see Northamber at IP Expo Manchester on 3-4 April 2019. We will be on stand R530 alongside WatchGuard where you can meet our Solutions Experts and learn more about our range of value-add services. London, UK, March 2019: Leading UK value added distributor Northamber plc, announced today that it has signed an agreement with Sapphire to distribute their range of projection screens and accessories within the UK. Sapphire projection screens are highly versatile, easy to operate and suitable for almost any application including classrooms and meeting rooms, large halls and auditoriums and home use. They also come with excellent availability, 3 year warranties and are built to withstand the most demanding environments. Peter Dosanjh, Director of AV at Northamber, said: "Sapphire provide a full range of projection screens and accessories. From the latest electric screens, ceiling mounted screens to handy mobile and portable screens for those on the move. Sapphire have a great solution for every situation and carry a full range of accessories including sound systems, lecterns and all the hardware required for installation. 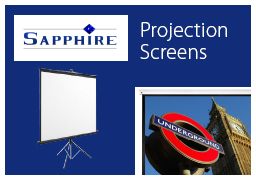 Sapphire provide the perfect combination with our range of projectors. Call the Northamber AV team on 0208 296 7399 or email av@northamber.com for more information or to book a demonstration". Richard Thomas, Managing Director from Sapphire said "We are excited to be working with Northamber's expanding AV division to enable UK resellers to get the best access to our projection screens and accessories. Northamber’s access to Education and SMB oriented resellers and their personal approach to the channel means that our products and solutions are easy to buy and easy to sell. We look forward to growing our UK business together". Northamber will offer Sapphire products from the beginning of April 2019. Northamber is the longest established, UK only, trade-only distributor, with over 2,500 actively trading resellers. The AIM listed company celebrated its 39th anniversary this year. Northamber prides itself on its value-add distribution model, delivering complete solutions supported by specialist sales, marketing, product and technical teams. This approach helps resellers to get the support they need to be able to sell a complete solution whilst minimising delivery, admin and other associated costs and inconveniences of dealing with multiple distributors. EIZO is a visual technology company that manufactures high-end monitors and display solutions for business, graphics, home entertainment, healthcare, maritime, security/surveillance, ATC and defence/aerospace. 1. Minimum 5 year warranty, backed by UK customer support and a UK repair centre. 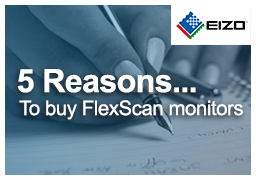 EIZO is one of the fastest growing monitor brands. Talk to our AV specialists about EIZO on 020 8296 7399 and for more details click www.northamber.com/eizo. NAKIVO offers VM backup, replication, failover, backup to cloud, backup copy, backup size reduction, screenshot verification, and multiple recovery options - all in one convenient web interface. NAKIVO has a relentless focus on customer satisfaction and support. Helpful technical support engineers can be contacted right from the product’s web interface, and over 97% of users have reported that they are happy with their support experience. Talk to our licensing specialists about how we can help you with corporate, academic and government requirements. 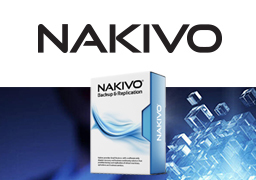 NAKIVO, Inc. is a privately-held company founded in 2012. NAKIVO develops a fast, reliable, and affordable data protection solution for actual environments. Over 10,000 companies are using NAKIVO Backup & Replication to protect and recover their data more efficiently. Over 180 hosting, managed, and cloud service providers are using NAKIVO’s software to deliver VM BaaS/DRaaS for their customers. NAKIVO has a global presence, with over 3,000 channel partners in 17 countries worldwide. London, UK, 4th February 2019: Leading UK value added distributor Northamber plc, announced today that it has signed a distribution agreement with Sony Professional Solutions Europe. 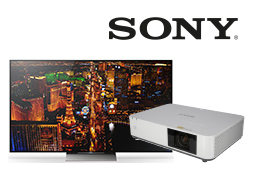 The agreement will see Northamber promote and distribute Sony’s complete range of Education and Business Projectors and BRAVIA Professional displays. Eamonn Halligan, UK Sales Manager, Sony Professional Solutions Europe, commented: "We are pleased to be adding Northamber as a new distributor of Sony Professional Solutions products in the UK. Their reach into the IT channel offers us further opportunity to expand both our BRAVIA and projection businesses, supporting our continued growth aspirations here in the UK." Northamber will offer Sony Professional products from the beginning of April 2019.